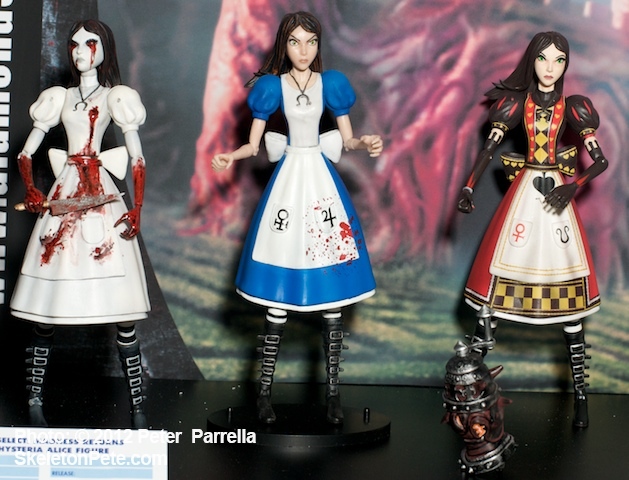 Diamond Select releases their first series of Alice: Madness Returns! figures this week. 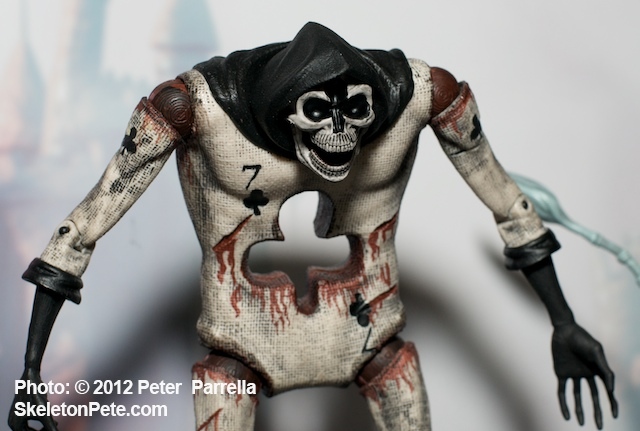 Based on game creator American McGee’s twisted twist on the Lewis Carroll (Charles Dodgson) penned fairy tale we get the blade wielding main character Alice Liddel, a zombified “Card Guard”, and the gruesomely grinning Cheshire Cat all in articulated 7” form. I’m hoping the old hookah smokin’ caterpillar will be in the next round of characters. 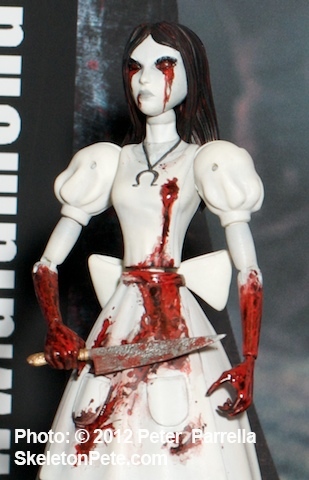 Alice comes replete with Vorpal knife, her pepper grinder and rocking horse, making her ready for battle with the horrible inhabitants of Wonderland. 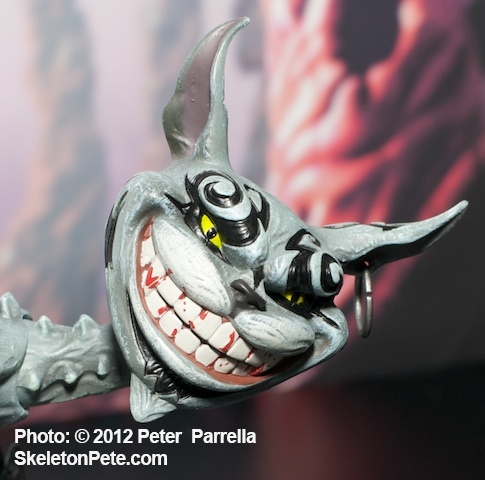 In addition to the standard characters a special edition “hysteria mode” figure is available via comic shops that pre-ordered the Previews exclusive. This blazing eyed, battle frenzied, beauty is literally covered in blood up to her elbows. Completists will definitely want to seek her out. 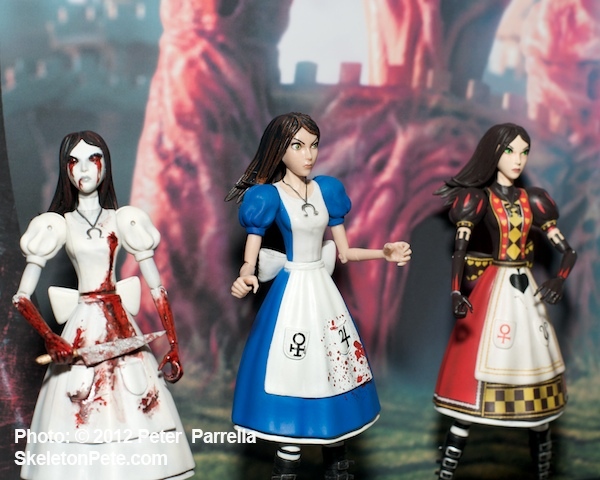 On the horizon, but with no release date set yet, is the “Royal Suit” clad Alice also pictured here. 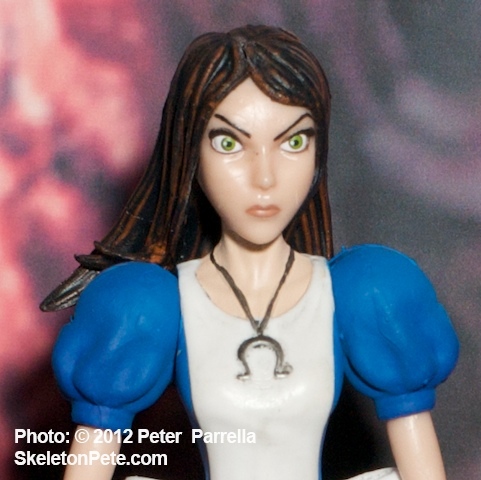 Alice Liddel is mad, and she’s not gonna take it anymore.